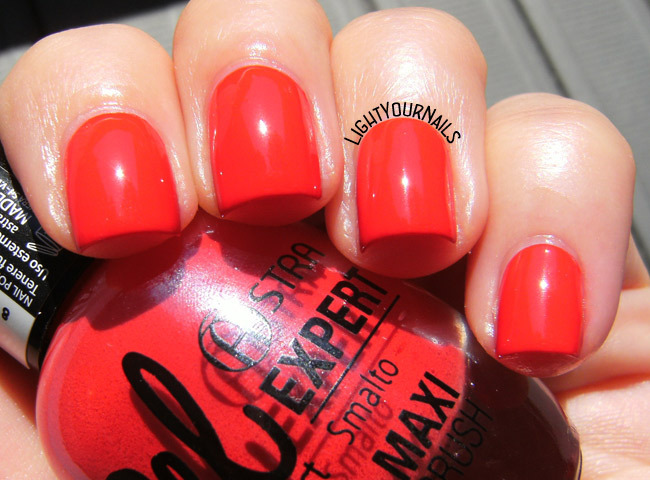 Astra Expert Gel Effect n. 33 Geranium | Light Your Nails! I like the finish of this polish! Looks great on you! I think you only need to find the one that looks good on your skintone, either a blue cold red or a warm orangey one. I must say I am very lucky because they all look good on me! I love warm, creme reds. Perfect start to the summer! This is a very lovely red, especially on you! this is EXACTLY the color I think of when I think of geraniums. I can almost feel the fuzzy leaves just looking at it. Awww thank you Nichole! In my balcony I have mostly pink geraniums but you're totally right! I love how vibrant this is! Gorgeous, gorgeous red on you. Such a beautiful polish, I really wish I could get Astra here, I love the few I have! They are so cheap and good! 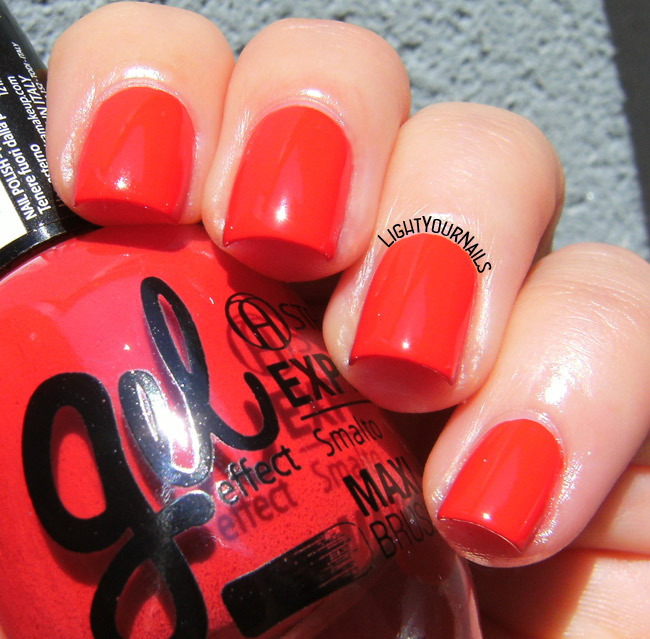 Every lady needs to have a red polish in her collection - perfect all year long! Gorgeous! I also want to get a pedicure with this color! Gotta love how shiny it is without a top coat! Right? My summer pedi will look like this all summer long! I love how smooth this looks! I'm personally not a fan of warm tomato-reds. I need my reds to be red and my oranges to be orange, and I love both the colours! Haha! Haha that makes sense Jen! I also love reds and oranges... and everything in between though!